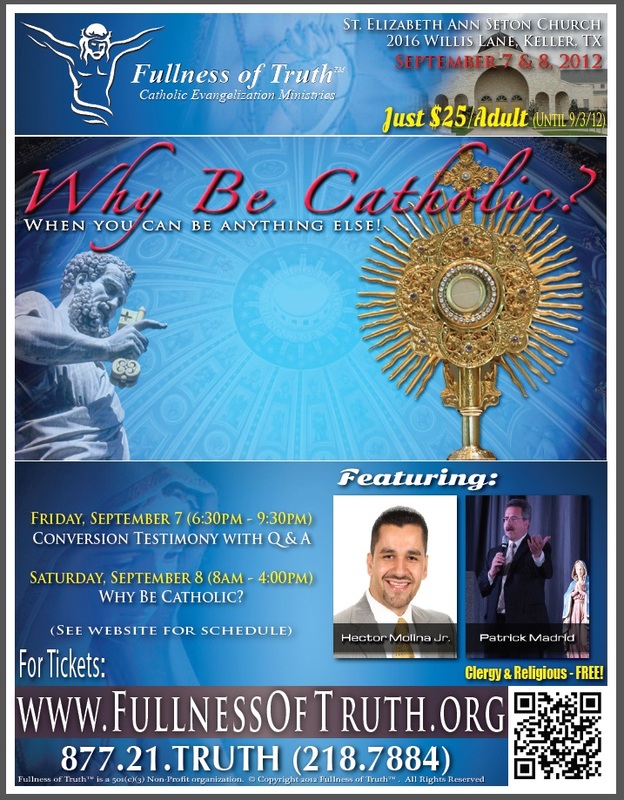 For tickets… www.fullnessoftruth.org … hmmm… Ok! Done! …and he’s coming to my parish. And yes, I do want to know why I should be Catholic when I can be not-Catholic. I mean, I can come up with a lot of reasons why my life is Catholic … but I think Mr. Madrid and Mr. Molina will provide more substantial reasons why, haha. Knowing me…I’ll probably blog about this experience.